The Kerala Travel Blog – Experience Kerala | Why women travellers prefer Kerala over other Indian States? ‘Kerala!’ That’s the answer you’re looking for. Ask any woman who has visited Kerala during her trip to India. Without a second thought, she would say that Kerala is the safest. And apart from being safe, the state has so much to offer for the ladies. So what makes Kerala an ideal destination for lady travellers? Why do they prefer Kerala over other Indian states? Here are the four most important reasons. The state of Kerala promises high security to women. Its police force takes all the care to make women feel safe and secure no matter what time of the day it is. There are strict policies and regulations in force. Of special mention is Kerala’s ‘Pink Police Patrol’. It has specially trained lady officers who work day and night for the protection of women and children in public places, particularly helping them with public transport. Find out more about the Pink Police Patrol. Apart from this special police initiative, the state also provides a 24/7 Ladies Helpline Number – Mitra. The helpline number is 181. KSRTC (Kerala State Road Transport Corporation) also provides a number of ladies-only government buses. The state of Kerala offers homestays as accommodation for tourists. Homestays give you a first-hand experience of Kerala culture as you stay with a wonderful family. You not only receive great hospitality but also get to taste authentic, homely Kerala food. Such accommodations are simply perfect for solo women travellers. There are a number of homestays located all around the state of Kerala. Get to know the best homestays in Kerala. Because of its high literacy rate, the culture in the state of Kerala is more open-minded than other Indian states. The people of Kerala do not look down on women, as if they fall into some lower bracket. Such gender bias may be seen in other Indian states but not in Kerala. People show respect for women and promote gender justice. The male-female ratio in Kerala is pretty high when compared to other Indian states. So gender equality is not a surprise. Women visiting Kerala experience countless jaw-dropping moments throughout their vacation. It is because of the great natural beauty of the state. Women love nature. But what kind of natural beauty interests you? 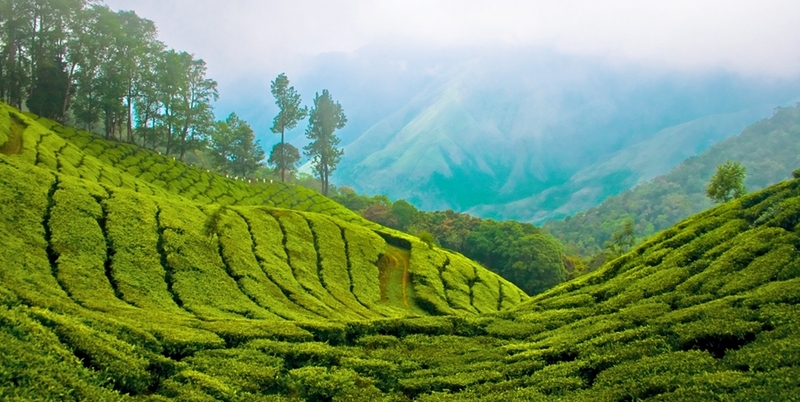 Do you like misty hill stations carpeted with shimmering tea gardens? Does wildlife grab your attention? Are you pleased with the scenery of placid backwaters hemmed with coconut palms? Or do you like resting on a serene beach? Or is it gushing waterfalls and sparkling streams that excite you? Kerala has them all and much more. No matter what part of the world you’re from, if you’re a woman, you enjoy shopping. Everything in the universe can change but not your love for shopping. Wait until you step into Kerala. It is a paradise for shopaholics. From clothes to jewellery, from handicrafts to spices, Kerala sells them all. In fact, you need to take look at some of the must-buy things in Kerala. The variety will surprise you. And you don’t have to search too much to find what you need. You will see attractive shops almost everywhere in Kerala. 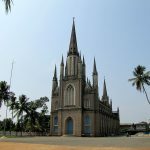 Want to know Why Kerala is Different from the Other Indian States? So what can we say in the end? Kerala can give you an amazing experience with nature. You can shop until your heart is full. And all of this without having to worry about safety and other such concerns. Now you know why women prefer Kerala over other Indian states. Why not plan a trip to Kerala right away?